New member? After recieving your form, we will register your company in the WoodTrack system and you will recieve a username and password together with instructions on how to get started. In case you need assistance please contact our helpdesk +31(0)384 260 100. Over the past 20 years, Control Union has gained a lot of experience in the forest, wood and paper sector. We have developed a range of services that provide assistance and guidance in order to comply with the EUTR. 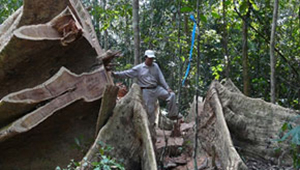 For this reason Control Union supports many companies worldwide to meet the EU Timber Regulation (EUTR) requirements. The EUTR has been effective since March 3 2013. The key objective of the EUTR is to ban illegally harvested wood from entering the European market. The EUTR requires companies to implement a Due Diligence System. This means that importers of wood and wood products, such as paper, have to be able to demonstrate that their materials have a legal origin by providing transparency in the supply chain and performing risk-assessments on the legality of incoming material. In this way the risks of illegal harvesting of these material flows are revealed and, if needed, mitigation measures can be carried out to reduce or remove these risks. Further, non-EU companies, which are part of supply chains with a final destination in the EU, will need to provide correct supplier information to ensure EU importers’ compliance with the transparency requirements. 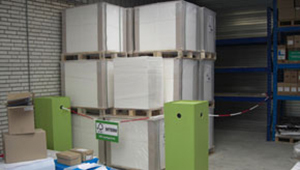 Authorities in each of the EU member states will enforce the EUTR and check for compliance. Control Union has developed a range of services that can assist companies to comply with the EUTR requirements. The European Commission has officially recognized Control Union as an EUTR Monitoring Organization. Our monitoring programme, WoodTrack, is officially recognized by the EU. As Monitoring Organization, Control Union can also assist companies to develop a tailor made Due Diligence System (DDS) in order to meet the EUTR requirements based on Control Union’s DDS. 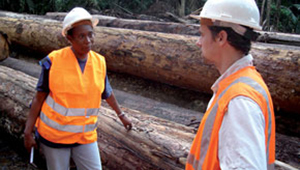 Control Union has developed the Timber Legality Verification Standard (TLV). The TLV is a standard by which companies can certify their own Due Diligence System in accordance with EUTR. The TLV standard also includes a Forest Management and chain-of-custody (COC) module. Inspections of compliance with TLV have a similar structure to those of FSC and PEFC inspections and certification, and include annual audits. The TLV standard can be used by suppliers of EU based importers as evidence of meeting EUTR requirements. Through our partners and service providers timber products can be tested based on their DNA, Isotope or wood anatomy parameters. These can be used in various scenario’s and ranging scales to determine species and origin. 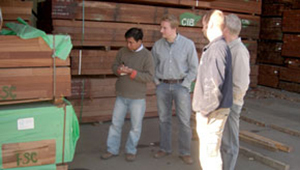 Control Union collaborates with Wageningen University (WUR) to support new techniques and possibilities in using timber tests for timber legality purposes. Control Union can perform an assessment to gain insight into the risks of non-compliance with the EUTR. WoodTrack is Control Union’s Due Diligence System that is provided to companies as Control Union’s role as a Monitoring Organisation. 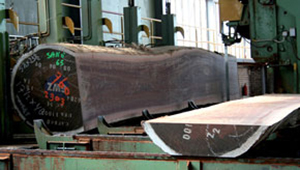 www.woodtrack.eu is the online portal designed by Control Union that provides access to Control Union’s DDS. With www.woodtrack.eu you are able to upload documents belonging to specific trade transactions between supplier and buyer. Once uploaded, individual transactions can be tracked and traced in the WoodTrack portal. Additionally the portal can help to conduct a risk assessment to analyse the risks of non-compliance and to determine whether mitigation measures are needed. Use of the online portal to meet EUTR requirements is optional as various templates for offline application of the EUTR requirements are also made available. The templates and supporting documents are implemented with support of Control Union’s expert staff. As part of the WoodTrack service operators receive training, access to procedures and templates and an evaluation for compliance (audit). Once successful a declaration is issued that serves as evidence of meeting the EUTR requirements with support of a Monitoring Organisation. Are you interested? You can apply here.